Kim Lewis Partners with Cavco on Tiny Home for Dwell | Cavco Industries, Inc.
Kim Lewis Tiny Homes is partnering with Cavco Industries, Inc. to develop affordable tiny homes, the first of which will be debuted June 23 – 25 at the annual Dwell on Design trade show at the Los Angeles Convention Center. 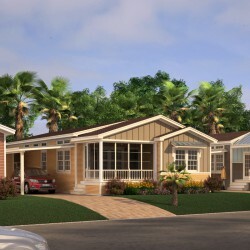 “We have been looking for the right builder, the right partner, and we’re really excited to join with Cavco to build out our homes,” said Kim Lewis, an internationally known, Austin, Texas-based designer who was the lead designer for ABC’s “Extreme Makeover: Home Edition” before launching Kim Lewis Tiny Homes earlier this year. Lewis has designed over 120 homes in 43 states and her work has been featured on ABC, HGTV, TLC, National Geographic, Spike TV, Animal Planet, FYI’s “Tiny House Nation” as well as House Beautiful, People, InStyle, The Washington Post, Forbes.com and Austin Woman. Dwell magazine invited Lewis to showcase her Joshua Tree tiny home design at the Dwell on Design trade show later this month, and with Cavco as a partner, Lewis now has the ability to mass produce affordable tiny homes. Designed for eclectic bohemians who love light, open and airy spaces, Lewis said the Joshua Tree nest is a tranquil space infused with desert inspired décor. “This model is for ‘Desert Dwellers’ who dream of watching sunsets, surrounded by the sweet landscape of mountains in the distance,” she said. Finishes in the Dwell tiny home will include white shiplap walls, Western Windows, copper pipe shelving in the kitchen, Silestone countertops, LaCantina sliding doors, a freestanding Kohler clawfoot tub, a retro style mint green refrigerator by Big Chill, and a 24-inch orchid colored range from Blue Star. Barn Light Electric fixtures will light the space, and a custom barn door, designed by Kim Lewis and manufactured by Rustica Hardware, will create the perfect entrance to a generously sized bathroom. The color palette is inspired by the soft hues found in a desert sunset and the reflection of cacti across the sandy terrain. Lewis said the Joshua Tree homes will retail at prices starting from $60,000, which is below the typical price for a tiny home. “We want to provide well built, good looking homes that are reasonably priced and more comfortable than other tiny homes,” she said. Lewis said she believes the demand for tiny homes will continue to grow, which is why she partnered with Cavco to ensure that she has the ability to build the Joshua Tree and other tiny home designs for a national market. “Baby boomers want to downsize, but they still want a home that feels luxurious, happy and unique,” she said, while the younger generation is much more cautious about the amount of money they spend on a home. Gage said all potential tiny house customers should consult with their local city or county officials to ensure compliance with applicable building codes and zoning regulations prior to finalizing their tiny house purchase. 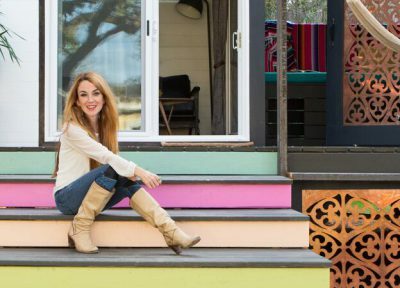 About Kim Lewis Tiny Homes – Kim Lewis is a “Little lady with Big ideas!” She is best known for her work as the Lead Designer behind ABC’s “Extreme Makeover: Home Edition” and founder of Kim Lewis Designs in Austin, Texas. In six years with the television show, Kim designed over 120 homes in 43 states. Her work has been featured on television networks ABC, HGTV, TLC, National Geographic, Spike TV and FYI’s “Tiny House Nation.” Written and online publications include People, InStyle, House Beautiful, Washington Post, Austin Woman, TyPennington.com, BScene Magazine, Forbes.com, The Design Network, and others. 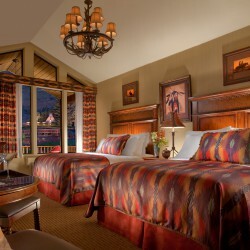 Clients include celebrities, Jewel and Tiffani Amber Thiessen. Kim is a motivational public speaker, and has worked in Ghana, Cambodia and Honduras to build therapeutic art centers for children. Her passion to empower through creativity has led her to producing a leather and home decor product line with at risk individuals around the world. In 2017, watch for her new line of tiny homes at www.kimlewistinyhomes.com. About Cavco Industries, Inc. – Cavco is a leading builder of park model RVs, vacation cabins, and tiny homes as well as manufactured and modular housing. Headquartered in Phoenix, Arizona, Cavco has earned a reputation for quality and value during more than fifty years in business. Cavco and subsidiaries Fleetwood Homes, Palm Harbor Homes, Nationwide Homes, Fairmont Homes, Friendship Homes, Chariot Eagle and Lexington Homes are among the strongest brand names in the industry. The Company employs approximately 4,300 people and operates twenty manufacturing plants across the United States as well as retail home centers, finance and insurance businesses. For more information, please visit www.cavco.com.